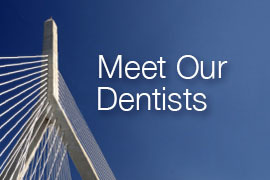 Dr. Shamardi was born in Malaga, Spain and raised in Newport Beach, California before making his way to Boston. He earned his D.M.D. from Tufts University School of Dental Medicine and, while there, he had the honor of being elected Class President for each of his 4 years—a experience he found tremendously gratifying and that taught him valuable lessons in time management and leadership. 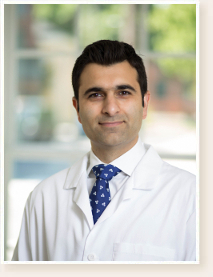 Dr. Shamardi trained for his Periodontal certificate at the prestigious University of Pennsylvania Periodontal Program. During this training, he gained extensive nonsurgical and surgical experience for procedures such as sinus lifts, implants, mucogingival surgery, crown lengthening, osseous and guided bone and tissue regeneration. Additionally, exposure to the unique Periodontal Prosthesis program allowed him to better understand the restorative aspect of the profession and the importance of proper treatment planning. Outside of the office, Dr. Shamardi stays very connected with his profession. He teaches part time as a Clinical Professor at the Harvard University Periodontics Department and lectures at several major national and international dental meetings every year. He is also a Diplomate of the American Board of Periodontology, the highest honor in his field. In 2014, Dr. Shamardi launched Dental Innovations, LLC, a company dedicated to introducing products that offer novel technological and clinical solutions to dentists. In his spare time, Dr. Shamardi enjoys traveling, playing multiple sports, and following his favorite soccer club, Real Madrid. He is fluent in three languages and still enjoys following current affairs and politics.